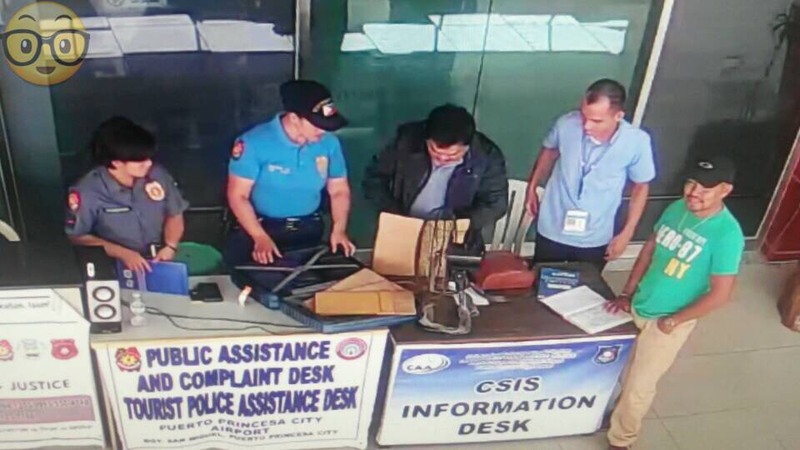 What would you do if you lost a luggage containing PhP1.5million in cold cash? One top of mind answer would be is to pray that it does not fall into the wrong hands until you are able to get it back. That is what exactly happened on the morning of July 31st, 2018, at the Puerto Princesa International Airport. At around 8am, security guard Jovani Yumen noticed a blue luggage beside a flower box at the arrival area of the airport. 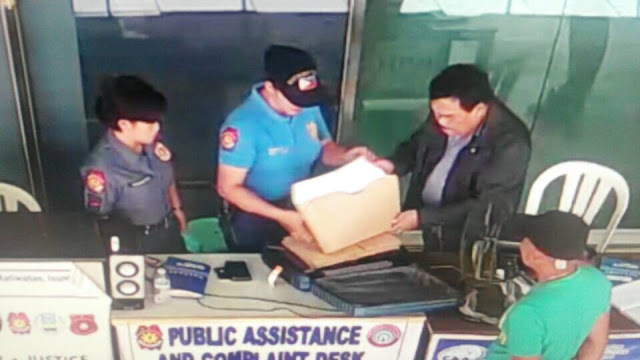 Yumen called the attention of the airport security assistant on duty, Jel Anthony Cervantes, who then immediately sought K9 IED (improvised explosive device) inspection from PO3 Widmark R. Briones of the PNP Aviation Security Unit. After the K9 inspection yielded negative result, Tourist Police PO2 Leoniliza Bautista, PO2 Job Arkhe Sancho III, and PO1 Anabelle Guimbongan of the PNP Aviation Security Unit examined the contents of the luggage. 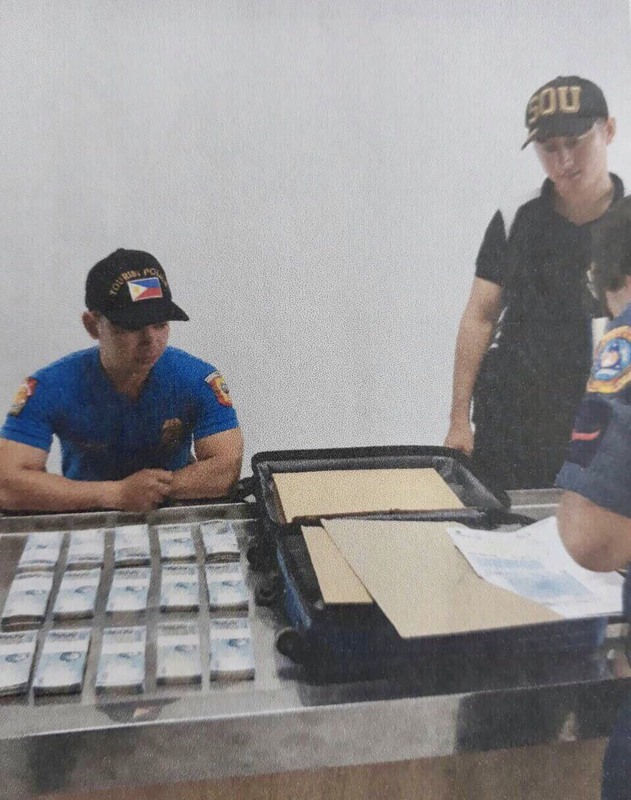 Upon inspection, the contents revealed one black jacket, one black wallet with ID/s belonging to a certain Danilo Dequito, and an envelope containing 15 bundles of PhP 100,000 totaling to PhP1.5 million. Over an hour later, Mr. Dequito went to the arrival area looking for his luggage. Upon presenting proof of identification, he was allowed to claim his luggage and examine its contents. With Cervantes, PO2 Bautista, and PO1 Guimbongan as witnesses, Dequito counted his money and found everything intact and complete. Department of Transportation (DOTr) Secretary Arthur Tugade commended the airport employees for their honesty, professionalism and for following aviation security and police procedures. Photos from Mr. Percy Malonesio, Area Manager, Area IV of CAAP.